Let me introduce you to your step-by-step guide to get your students to write more while you grade less. 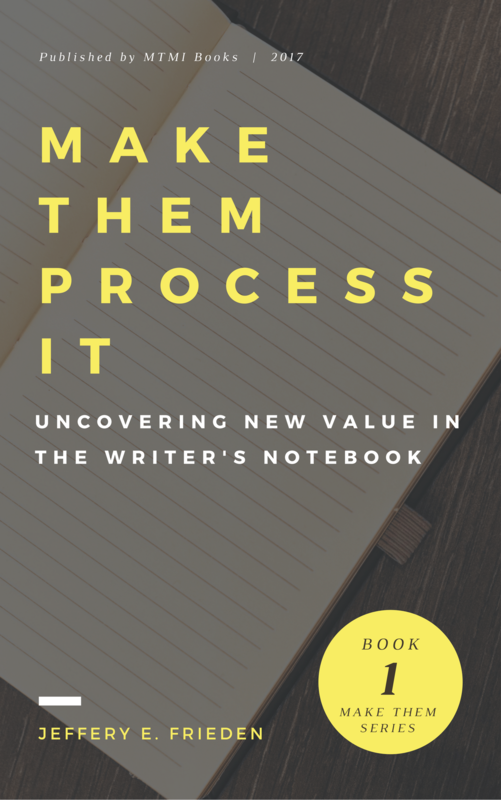 Founded on the Writer’s Notebook practice introduced in Kelly Gallagher’s Teaching Adolescent Writers and Aimee Buckner’s Notebook Know How, and drawing on over decade of teaching experience, I present a convenient way to set up and run the Writer’s Notebook in the secondary classroom. Create ways to keep writing fresh for the entire school year. Master the mental moves necessary to produce better drafts. Out of Jeffery’s failures and successes over the past 13 years, he has put together a straightforward, “no nonsense” approach to teaching writing with The Writer’s Notebook. One advantage to Kindle is all the live links. I have included links that lead to handouts and PowerPoints that will make the teaching of a Writer’s Notebook just a little bit easier.